I have decided that today you are going to help me out. What right do I have to do that? Well, it’s my blog and I’m an aspiring megalomaniac. But luckily, by helping me, you will in fact be helping yourselves. You help me help you. Today’s discussion: Christmas presents for cyclists. Yes I did. And if you don’t like it, you can bite me. There’s no point discussing this in December when our balls feel all glittery. Time is ticking on the last post. Stuff goes out of stock. Let’s get our Christmas shopping done now, then get back to focusing on more important things (like the 4+ hours of Double Your Grand Des-Location For £100 that I like to watch on TV each week). Easy. Just leave a comment below this post with one or many cycling Christmas gift ideas. Something you bought for someone else that was possibly your best present ever but they never really appreciated and everything they’ve ever given you has been extremely disappointing in comparison. Ahem. Or whatever cool cycling thingummy where you’ve thought, “that would make a great gift”. In terms of price range, we’re talking small stocking fillers (multi-tools; cycling caps) up to ‘significant gift’ (expensive clothing, a bike fit, bike GPS computer). Clearly we all want a new custom steel-framed road bike (what, you don’t?) but it’s going to be out of most people’s price range and therefore not going to be helpful as a suggested Christmas gift. What Am I Going To Do With This Vital Intelligence? I’m going to collate all the suggested gift ideas and publish them in one long (and potentially useful) list. You can refer back to it when you realise you didn’t take my advice about buying early and you’re scrabbling around Amazon on Christmas Eve Eve (Eve) whilst your friends are already decking their boughs (tra la la). I don’t ask much from readers in return for all the ‘quality chat’ that I provide ’pon this noble weblog. I am asking now. Whether you’ve left comments before, you’re a long-time lurker or this is the first post you’ve ever read, leave a comment below with some cycling Christmas present ideas. You will have my eternal gratitude (or at least a few minute’s worth). I am anticipating a deluge of great ideas from you generous and imaginative Grimpeur Heureux readers. (I am fully expecting these closing remarks to come back to haunt me when no one leaves a comment and it becomes clear that I’ve been writing to no one all this time). Elite Custom Race Bottle Cages – available in multiple colours, they’re super light and look great. Keeps neck warm (for uphill slogs, potentially read “cooked”) through the icy months, is relatively easy to peel off and stuff in a pocket, and could really make the difference on the very cold damp days. Probably £10 or £15 from most outdoors shops. Don’t get the thermal one that’s built to save Granny Dryden from Siberian winds as she scoots along the seafront – you’ll melt. A Happy Ride Vibrating Saddle Cover! I have lots of potential candidates, some of which were actual gifts given to me, but they sort of don’t count as they’re invariably the result of my having sent a link to my wife or family. Firstly I’d suggest a Rapha Knitted Hat http://www.rapha.cc/knitted-hat. I’m a huge Rapha fan and had a hard time narrowing down the choice here, but I got one of these hats for Xmas off my sons (though I suspect wife was involved as they’re only 2 and 5) and been brilliant. 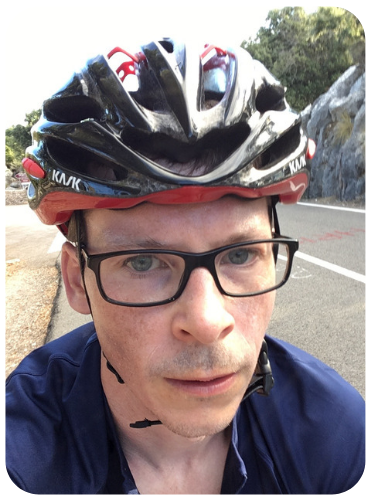 It fits snugly under your lid, keeps your head warm, has a useful little peak to keep the winter sun/rain/snow off your glasses and most importantly it breathes really well so you don’t get sweaty. Next, I offer the Endura Equipe Exo Waterproof Gloves http://www.enduraequipe.com/products/gloves/exo_waterproof_glove.aspx – I must confess that I only got these towards the end of last winter, as I already had another pair of gloves which did the job, but didn’t fit so nicely or perform so well. I ended up losing one of those whilst on holiday in Anglesey and due to the polar nature of the weather; I knew I couldn’t ride without them. Not wishing to have lugged the bike all the way up there only to bring it home again unridden, I searched for a Halfords in Bangor, reasoning that they’d have something. Whilst looking for Halfords I found an amazing LBS on the High Street called Evolution which had a nice selection of gloves. Requiring as I do, gloves to be comfy, windproof, waterproof and breathable (I get sweaty enough – I don’t need to boil in any sort of bag too), these ticked all the boxes. Not only do they fit me very well, I’ve ridden in everything from bone chilling northerlies over the top of the Malvern Hills to torrential rain and an actual blizzard, and they’ve always kept my hands at just the right temperature. A “tile” – the new (and as yet unmade) product that can be affixed to your bike, and which will make if findable with your iPhone. There are enough iPhones in urban areas that a stolen tiled bike will be “visible” to somebody’s iPhone. The Tile system will have that iPhone send a message to you so that you’ll know where your stolen bike is being held. Dropper seat post for the mountain biker in the house. After I stopped laughing so hard from the post, I starting thinking of cycling gifts. Then I remembered that anything I have gotten has been a gift to myself or a specific Amazon wish list spammed out to family. 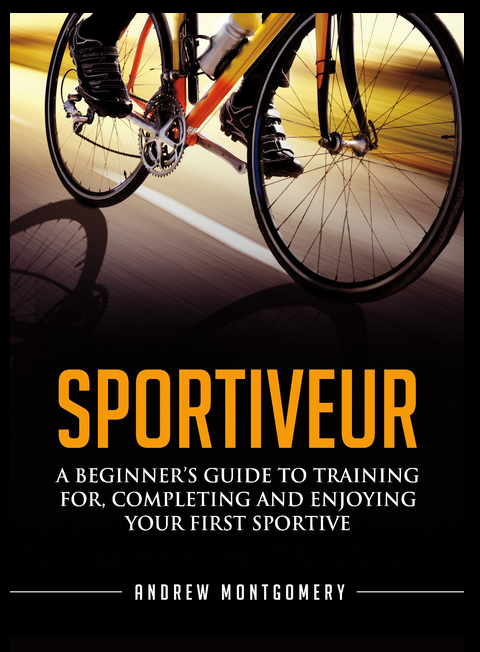 -Cycling Books – I won’t bore everyone with a list, but there are plenty of good ones out there every year. -Saddle Bag – To hold that multi-tool or flat repair kit and free up the jersey pockets. -Cyclo-Core dvds – Graeme Street at http://cyclo-core.com/ has great cycling workout routines. I have a dvd set from about 6 years ago and still used it in the off-season, until the kids lost it recently. Oh look, I can put it on my list for this year and get the updated products. -Other workout dvds – I’ve heard of Spinervals and Sufferfest but don’t know much about them. They always sounds like evil workouts that make you hate your bike, yourself, and your family by the end of them. Used for trainer rides (aka the turbo). That’s all I have for now. Hope the crowd sourcing continues and the list grows. Looking forward to the final list. Although it’s tempting to unleash the full force of your 115 decibel horn (ooh er) on unsuspecting pedestrians, clearly it should mainly be used to alert lorries, buses or taxis to your presence. I would however reserve the right to us it in on some pedestrians, should they: 1) be on their mobile and oblivious to the rest of the world; 2) assume you will stop for them; or 3) are just plain dozy and step out right in front of you. There is the added satisfaction of the post-sounding ‘ pedestrian breakdancing’ horn (its really loud)! The only negative is the product is very flimsy, so needs careful storing.